Dwyene A. “Bubb” Hiland, 69, of Augusta, IL died at 2:38 am Saturday March 30, 2019 at the Renaissance Care Center in Canton, IL. He was born on May 24, 1949 in Augusta, IL to Emmett and Frances Hoyle Hiland. He was first married to Carol Yocum on August 8, 1968 in Augusta, IL. He later married Naomi Creasy. She preceded him in death on November 8, 2011. 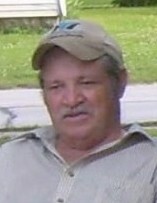 Bubb was a 1968 graduate of Augusta High School. He had been employed at the Argyle State Park in Colchester, IL and later at Farmland Meats in Monmouth, IL. He was an avid hunter and St. Louis Cardinal Baseball fan. He is survived by 4 sons; David (Nicole) Hiland of Augusta, IL, Rodney Hiland of Macomb, IL, Richie (Angie) HIland of Mendon, IL and Kevin Hiland of Augusta, IL, 2 step-daughters; Manessa (Lennie) Berg of Plymouth, IL, Michelle (John) Hicks of Blandinsville, IL, 3 stepsons; Richard (Cherady) Hood of Ft. Madison, IA, Kenneth (Mary) Bartell of Raritan, IL and Kevin Bartell of Blandinsville, IL, numerous grandchildren and great-grandchildren and numerous nieces and nephews. He was preceded in death by his parents and 5 brothers, John, Roger, Jack, Gerald and Bob Hiland. Funeral services will be held at 1:00 pm Wednesday April 3, 2019 at the Hamilton Funeral Home in Augusta, IL with Rev, Patsy and Rev. Jerry Spratt officiating. Burial will follow at Mt. Auburn cemetery in Colchester, IL. Visitation will be held from 5:00 to 8:00 Tuesday at the Hamilton Funeral Home. Memorials may be made to his family to help with expenses.